You already know that Sprout is great at helping you manage all of your social media, but did you know it can also help you refine your content strategy? Whether you’re a new user or a frequent one, here are some best practices to help you deliver more meaningful content to your audience. To position your social strategy for maximum impact, get to know your audience. Think about their typical day and average demographics. Consider segmenting your audience to target specific groups with content that matters the most. 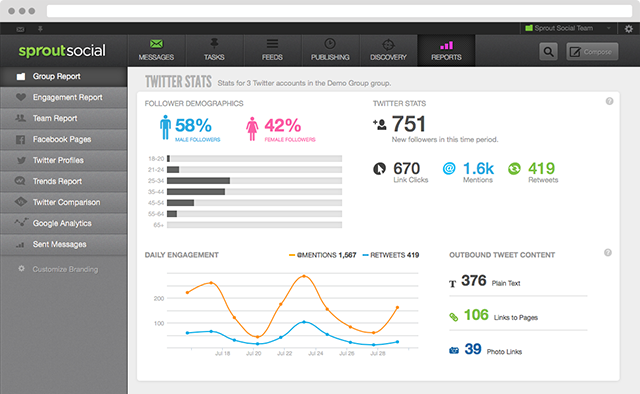 From the Reports tab, go to the Group Report to see a summary of your audience demographics–age, gender, location, engagement, and so on. Monitor incoming messages in the Smart Inbox. What are people asking for or about? How would their needs be resolved? Keep an eye on trends and your brand keywords. What are people talking about? What is top-of-mind for your users? From the Messages tab, use Profiles, Message Types, and Brand Keywords to look at conversations your users are having. Then, define your value-add. What should users find when viewing your content–discounts, promotions, events, product updates, tips and tricks, sales content, recommendations, learning resources? The possibilities are endless. Once you have identified areas of improvement, it’s time to determine meaningful ways to address each. Keep your client and prospect conversations meaningful. Stream reliable RSS feeds into your Sprout platform to find timely and relevant content. Deliver targeted content that addresses your users specific needs. Be sure your content follows your value proposition. Click Compose to draft your message. 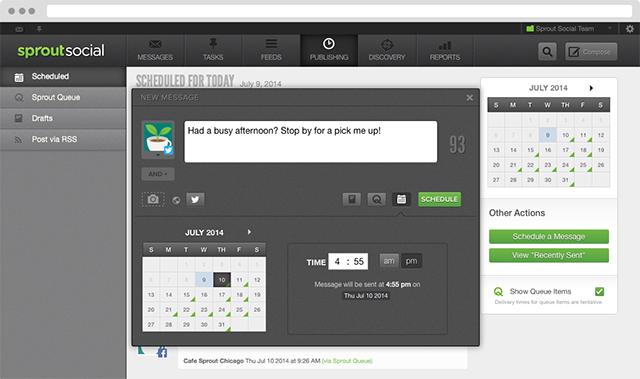 Then, save a draft, Schedule it to send on a particular day, or add it to the Sprout Queue. The Engagement Report — are you addressing the questions and concerns that have arisen? The Trends Report and Smart Inbox. Take another look at trending hashtags and topics as well as the words that go with them–have topics and tone changed? 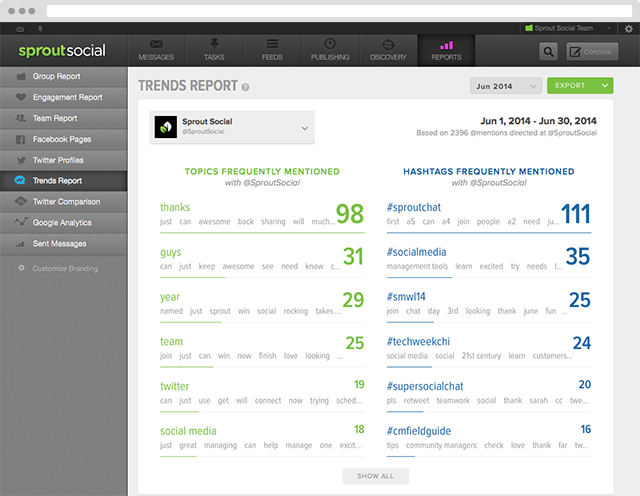 From the Reports tab, go to the Engagement Report to see your replies and response rate, or check out the Trends Report to see topics and hashtags. Just as the world of social and the strategy around your brand will change, so will your audience’s needs and wants. They may not tell you directly, but actions speak louder than words–so utilize the data and features available in Sprout to uncover opportunities. Consider using these suggestions on a periodic basis (annually, quarterly, whatever makes sense for you) to ensure you always have relevant conversations. Want more best practice strategies like this? Tweet us your suggestions. 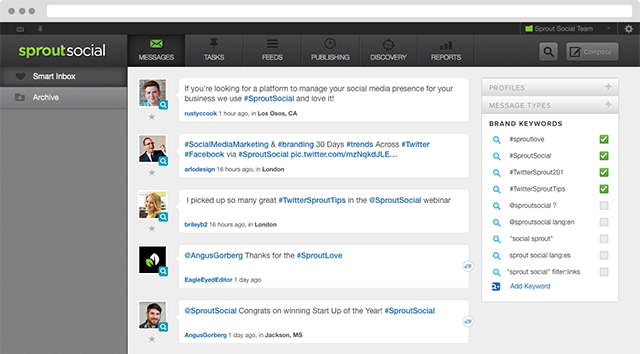 If you’re not already a Sprout Social partner, give us a try. Sign up for a free trial to see all that we have to offer. Samantha Muehleis: Samantha is a Product Marketing Specialist at Sprout Social and a chocolate fiend turned health nut. She’s an aficionado of: inspiring words (from poetry and prose to lyrics and quotes), worldwide travels, cooking, and simplicity.